One Direction have announced the title of their next single. The boyband will release 'You & I' on May 25 as the fourth official single to be lifted from their latest album Midnight Memories. The track was co-written by Julian Bunetta, Jamie Scott and John Ryan, who previously teamed up with the group for their hit single 'Story of My Life'. The accompanying music video will premiere on April 18 and has been directed by Ben Winston, who helmed the videos for 'Best Song Ever' and 'Story of My Life'. 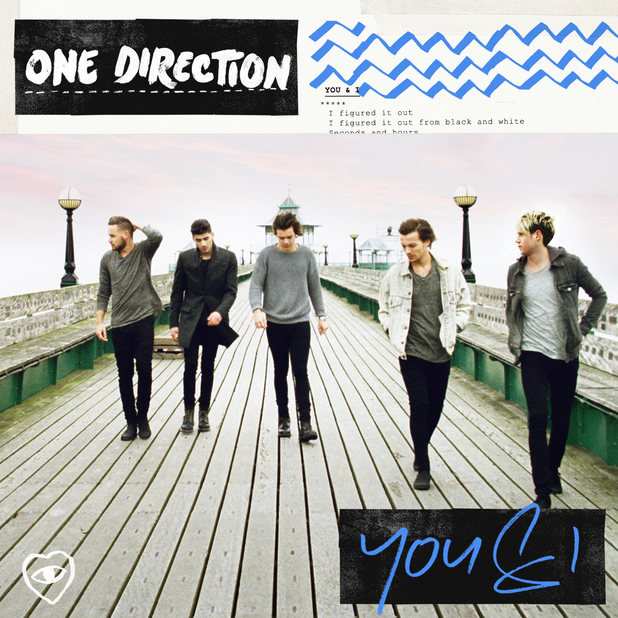 'You & I' will also come as a digital EP, which will include a remix by band member Liam Payne called the 'Big Payno' mix. The EP will also include a piano version of the song, as well as a duet version. 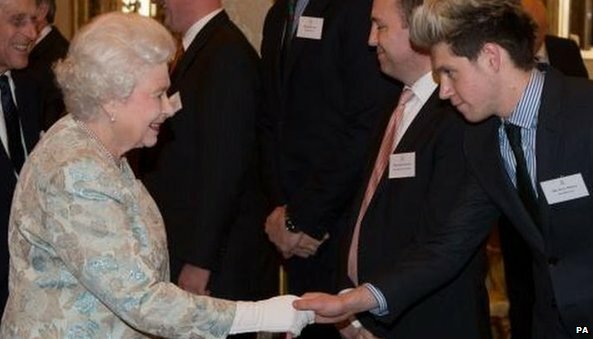 The Queen has hosted a reception for more than 300 Irish people including One Direction singer Niall Horan, X-Factor judge Louis Walsh and former boxer Barry McGuigan. The Buckingham Palace event was held to mark the contribution made by Irish people in Britain. A Palace spokesman said: "It was a really fun evening - great company and extremely relaxed. "Her Majesty seemed to enjoy the craic." The Queen and the Duke of Edinburgh met guests from the world of sport, business, politics, the arts and community work who were deemed to have made a positive contribution to Britain. Also among the guests were fashion designer Orla Kiely, racehorse trainer Jonjo O'Neill, former Formula One racing boss Eddie Jordan, singer Imelda May and Father Ted writers Graham Linehan and Arthur Matthews. Niall Horan described being at the palace as "mind-blowing". The selfie craze is one that has taken the online world by storm and Twitter went into meltdown earlier today as a brand new One Direction photo circulated the Twittersphere, with many fans even saying that they were in tears over the super cute snap. It's been a while since we have seen a selfie of the band all together and we totally get why the fans think it is such a big deal, with the five piece all pulling faces in the pic whilst Niall, who is obviously taking the photograph, grins at the front. Despite it being unknown where the photo was originally posted, fan sites soon got hold of it and shared it all over their profiles, leaving Directioners across the globe rather happy! One Twitter user posted: "stuff like this makes me cry" whilst another added: "I actually started to cry when I saw the one direction selfie." 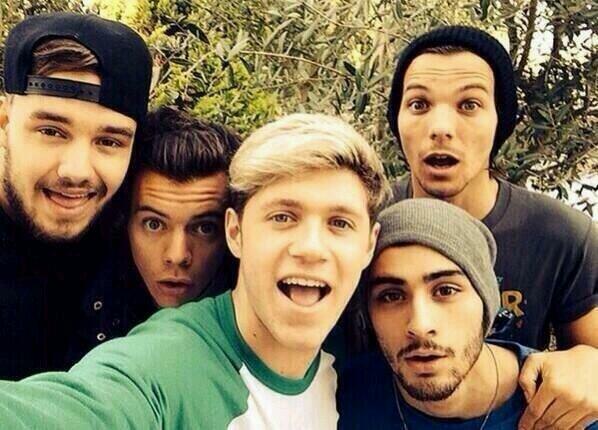 An overexcited fan shared: "THE ONE DIRECTION SELFIE KILLED ME" with one adding that it was even better than the infamous Oscars selfie, posting: "THE ONE DIRECTION SELFIE IS BETTER THAN THE OSCARS SELFIE"
The band reunited this week following their two and a half month break ahead of their upcoming Where We Are tour that kicks off this spring and fans couldn't be happier that their boys are back, it seems! One Direction Ultimate Fan Contest! We've teamed up with Clevver to offer two fans the chance to win a copy of their brand new DVD, One Direction Clevver's Ultimate Fan Guide! This DVD is a must for any 1D Fan as the team explore the boys rise to fame by chatting to those closest to the boys and some of their biggest celebrity fans including Twilight star Robert Pattinson! Whats more this Special Collectors edition includes and exclusive interview with the boys! Entering the contest couldnt be easier! Just follow us @FanClubDotCom on twitter and send us your answer to THIS question....Every fan should know it! WHATS HARRY STYLES MIDDLE NAME? You can end your entries in from now until Sun 23rd March and then we will contact winners!